A great way to bring along tools, spark plugs and other small items. 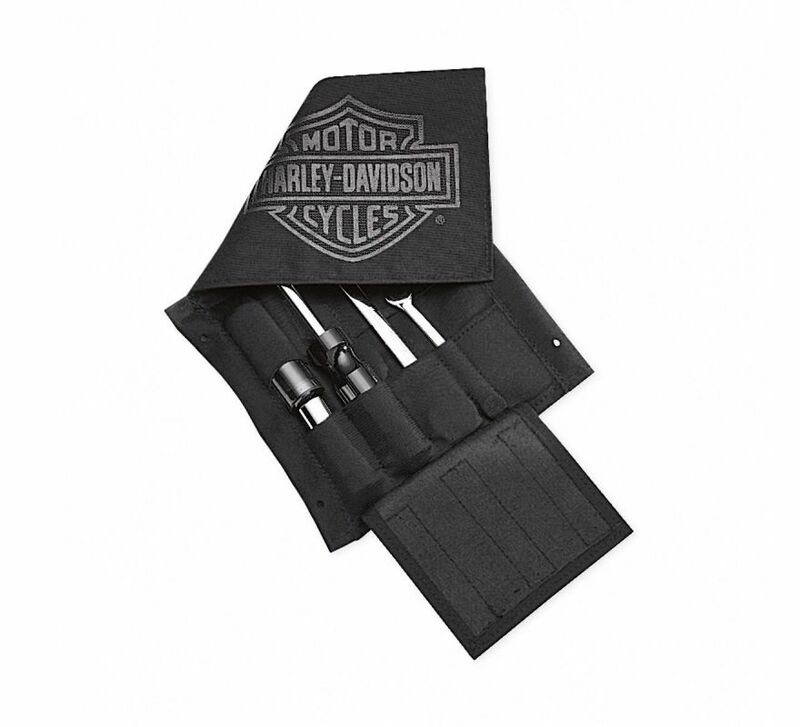 This unique Tool Tether replaces the saddlebag check strap. 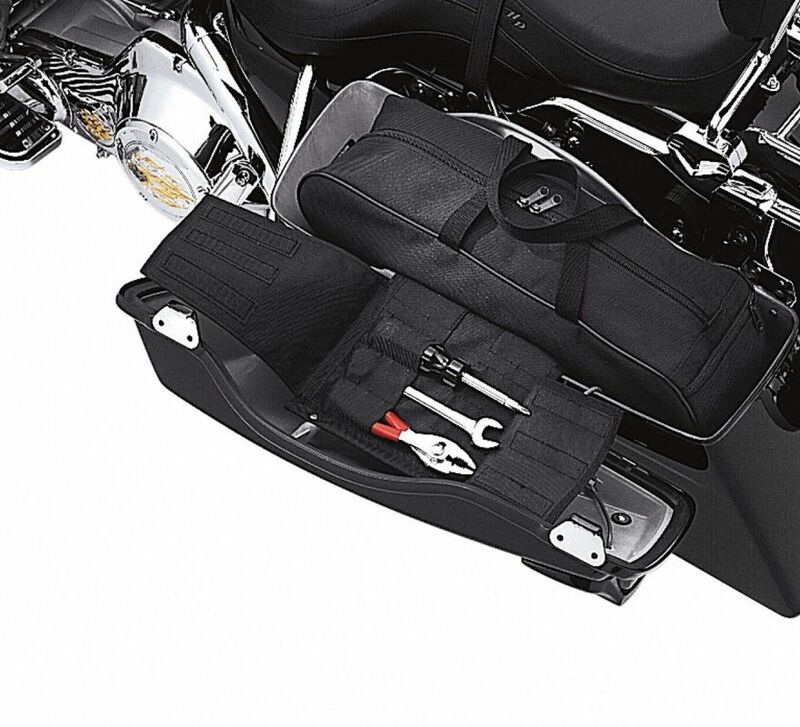 Fits '93-'13 Touring models equipped with Color-Matched Hard Saddlebags.